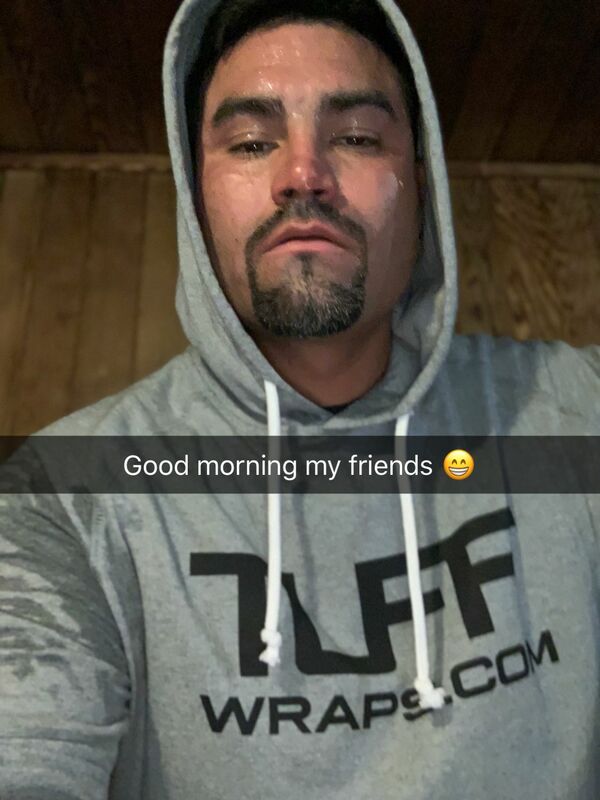 The TuffWraps.com Hooded Tee is a close-fitting design allows a natural range of motion for whatever your workout brings. These shirts are known for their premium quality, as well as ability to stand up to a washing machine. *This item is not pre-shrunk andwill shrink in wash. Very good quality materials and didn’t shrink in the wash! Fits great! I like the sweatshirt for warming up on heavy bench days, the short sleeves make it easy for me to use elbow sleeves without the hassle of shirt sleeves in the way. I have three of these!! Greg C. Reviewed by Greg C.
Abel M. Reviewed by Abel M.
Order was placed and the goods were delivered ahead of the timetable, and that's saying a lot coming from Kona!